The RED component increases with the X position of the pixel. The GREEN component increases with the Y position of the pixel. N.B. a GLSL fragment uses a "functional rendering" paradigm, which means you have to implement a Position => Color function. gl_FragColor = vec4(uv.x, uv.y, 0.5, 1.0); // red vary over X, green vary over Y, blue is 50%, alpha is 100%. 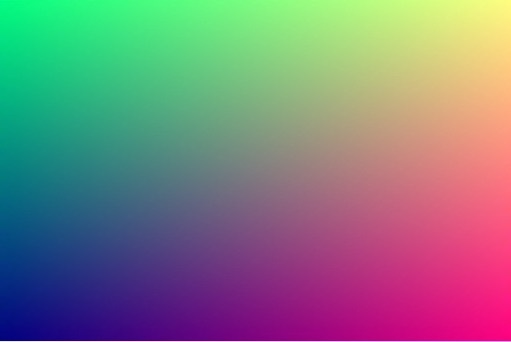 first, you need to implement a fragment shader in GLSL (OpenGL Shading Language). Give it to GL.Shaders.create and you have a backed object in return (like StyleSheet.create). second, you can define GL Component with a function returning a <GL.Node> and pass-in the shader you have defined previously. In following examples, we will now assume you know how to render a GL Component.